If there’s one thing live services games like Destiny, The Division has going for it, it’s that they have an ever-changing and steady flow of content that’s aimed to keep players constantly engaged. 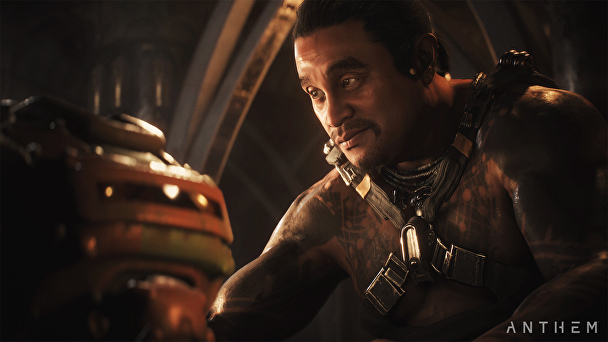 If BioWare’s latest statements regarding Anthem is to be believed, content won’t be an issue with it at all. Speaking to USGamer at PAX, BioWare Producer Mark Darrah, and Lead Producer Mike Gamble were asked if BioWare has multiple teams working within the studio working on new content like other live services games. Is there a lot of flexibility with the dev team? I spoke with another live service developer earlier this year and they have four teams working on new content to pump them out at a regular clip. Is this the same for BioWare? MG: I don’t want to sound like we have hubris in this. We will make our own share of mistakes we absolutely will. Everyone who launches these kinds of games makes their share of mistakes. It’s, as you said, having the flexibility in the team to build, to respond to those quickly. Because we can test, test, test, test, we can focus on something and then it’s the thing that we don’t test which is like, ‘Gotcha!’ And you have to be able to respond right? This is definitely good news, right? Let’s hope BioWare can make the missions and new content feel fresh and different enough from each other so players won’t get bored. In other Anthem news, BioWare has confirmed that the game’s Lead Combat developer was also the Combat Lead dev for Halo. Regarding content, don’t forget that all story-driven DLC will be free! Anthem will be out this coming February 22, 2019 for the PS4, Xbox One, and PC, and a demo will be out before then.